By 2050, the world's oceans are expected to contain more plastic than fish. That's a statistic likely to be forgotten if read on a pamphlet or in a textbook, or uttered during a documentary or news broadcast. But it's a message that might stick if the audience sees the impact for themselves. This is the premise behind Operation Apex, a virtual reality exploration game that takes players to the bottom of the ocean where they will "search out hidden discoveries to uncover the species that is truly the greatest threat" (spoiler alert: it's us). The title has been developed by UK studio Curiscope with two primary goals: firstly, to spread the message of ocean conservation - but also to be an engaging and enjoyable VR game in its own right. 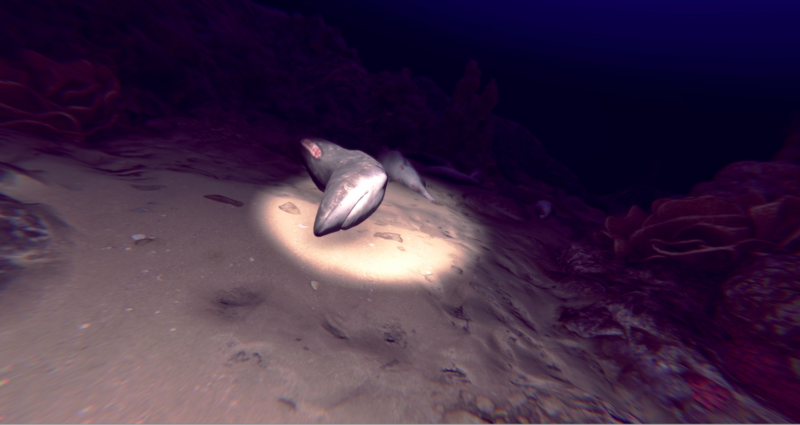 It follows up on the work Curiscope did with VR experience Great White Sharks, which put users face to face with the most famous beasties of the deep. 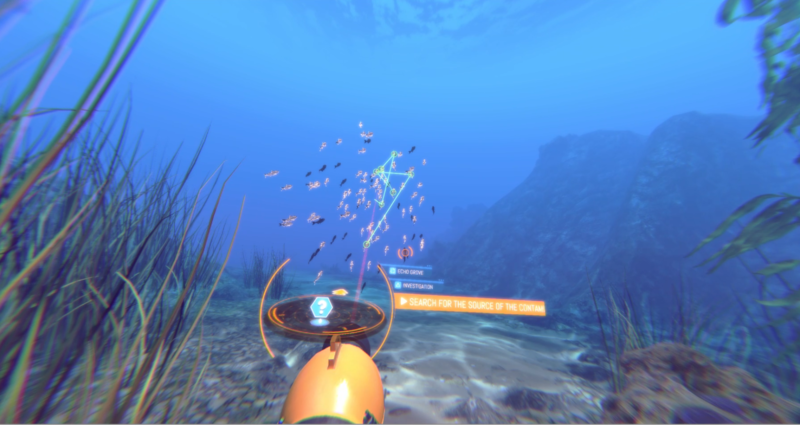 For this project, the team wanted to make things far more interactive and much closer to what we consider a video game, all the while educating players on the real-world issues surrounding the ocean. 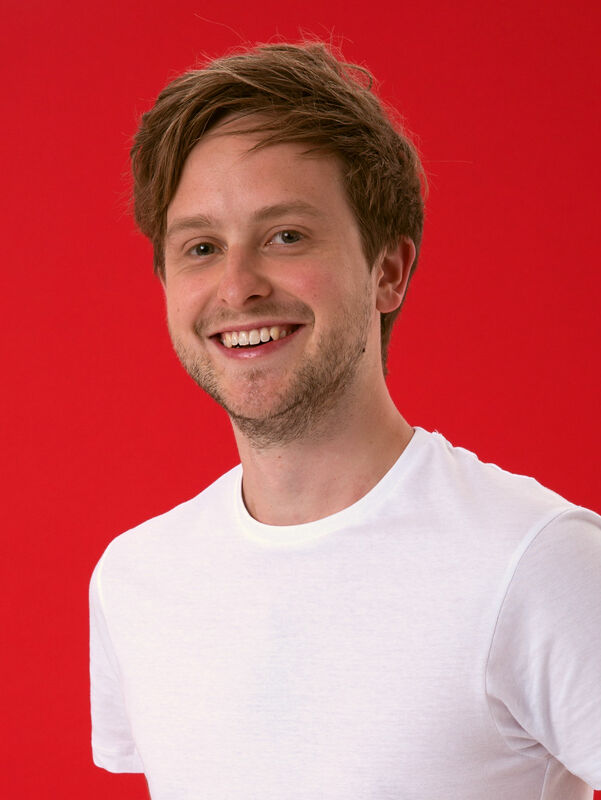 "It's one of the most important issues as a planet that we're facing," CEO and co-founder Ed Barton tells GamesIndustry.biz. "And we believe we've been offered a unique opportunity with virtual reality to connect to an environment we're disconnected from and to see it differently. "It's also important to note that we don't believe it takes anything away from the game. Documentaries on the television often have a conservation or social good angle - for example, Blue Planet. We believe that there's a place for this in games, too." Operation Apex has been developed with the help of South African agency Oceans Research. Having seen the work Curiscope did with Great White Sharks, the organisation reached out to the studio to discuss how they might build upon the tech to highlight the dangers humanity poses to marine life. "Documentaries often have a conservation or social good angle - for example, Blue Planet. We believe that there's a place for this in games, too"
"They were particularly involved in the planning and conceptualising at the start of the project when we were scoping out the message that was important for us to be communicating," Barton recalls. "Upon chatting to Enrico [Gennari, director of research] and his team it became very clear that the number one issue was ocean plastics and that this was generally going under the radar of public consciousness. Fortunately, this seems like it's starting to shift and we're pleased to be part of that movement." Players take on the role of a research assitant as they dive to the bottom of the ocean and study the wildlife they find, working their way up the food chain until they encounter a Great White. Along the way, they'll discover contaminations, injured wildlife and dangerous man-made objects that provide more insight into how mankind is disrupting the underwater ecosystem. It's not the first VR title to position itself as something more purposeful than simple entertainment, nor hopefully will it be the last. But Barton and his team have taken great care to ensure that this is more of a video game than it is an interactive lecture. "A lot of VR experiences are created to address social problems and often they are very emotionally charged," Barton observes. "VR is much more immersive than most mediums and can leave the viewer feeling drained or overwhelmed. But we shouldn't lose sight of the fact that VR is an entertainment medium. "Mobile games aren't the right medium to effectively communicate a message like this. Virtual reality commands your full attention and transports you somewhere else entirely, physically and mentally"
"With Operation Apex, it was important to create something that still retains a sense of awe, of magic and of wonder about the environment. Life under the surface of the ocean is stunning, and whilst it is clearly under threat, we didn't believe there was anything to gain by picturing it as an unwelcoming, dystopian environment. All this does is distance us further from something we need to be closer to." But while virtual reality may be an immersive way to communicate such an issue, surely the low install base limits its effectiveness. The leading platform, PlayStation VR, has only sold 2m units - that's impressive for emerging tech, but nothing compared to the billions of smartphones on the market. Would Curiscope and Oceans Research not have been better served by collaborating on a mobile game? "They aren't the right medium to effectively communicate a message like this," Barton says. "Playtime can be too sporadic and you're competing for attention in a saturated market against highly tuned free-to-play titles. Virtual reality commands your full attention and transports you somewhere else entirely, physically and mentally. "The numbers in virtual reality are an issue, yes, but whilst this might be niche relative to mobile... I think the level of engagement is so much higher that the added impact we're able to make more than makes up for this difference." Barton is keen to see more developers experiment with titles like this - not just in virtual reality, and not purely for the purpose of encouraging conservation. Modelling the bottom of the ocean in 3D and learning more about the wildlife that lives down there has been an enjoyable experience for Curiscope, and one the CEO believes other studios could benefit for exploring. "There is of course a place for games to take you to a fantasy world but there's so much about our actual world that is endlessly fascinating," he says. "Go to the bottom of the ocean and the creatures are so radical that they could have never been imagined. For us, the exploration of the real world is what creates a sense of connection. Conservation doesn't have to equal a lecture or a marketing piece for a charity, it can just be something that makes us think or feel differently." However, he stresses that if other developers have a social message they want to share - whether that's conservation or tackling other real-world issues - this aspect of the game "can't be a bolt on." Barton concludes: "There's always pressure across development to compromise and if you want to do something new, you need to stay true to a set of core beliefs. And involve research institutions early - they're super happy to help and for their research to have a louder voice. "Finally, don't enter it with the mindset that trying to communicate a social good message will compromise the product. It doesn't have to."